Idyllic childhood on-the-beach. Days of fun, freedom, no fear. Mum, Granny and the family in Dad's modern, utility-driven designs. 1977 We (Jon and Yoshimi) leave Howick to sail the Pacific and live in Japan. 1980 we return to Howick with Tanglewood caring well for Dad and Step-Mum, Beryl. 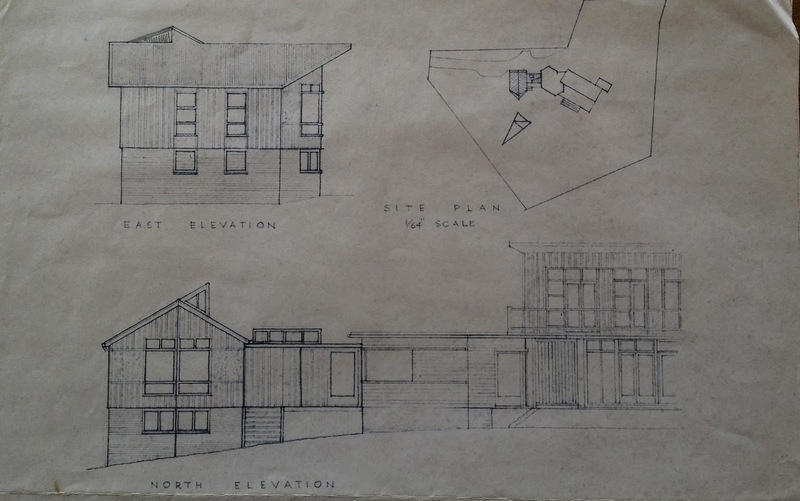 Dad continues to 'develop' Tanglewood with extensions and more angles framing the islands.Yoshimi works on development of the Old Auckland Customhouse...Ivan Mercep, Dad's former student was key architect. Early connections to restoring life back into structure. 1982 We're off again - this time to Oz for 6 years. Work in natural health and Sydney sailing keep us connected to nature's gifts. 1989 We return just in time for the GFC and settle just up the road from Tanglewood. Since, we've endeavoured to live a life that integrates what we believe in around health, the environment and the work of Buckminster Fuller. Our visions for humanity and the planet align with his and manifested in our creation of "TetraMap"- A model, tool, framework, and approach to reduce conflict and leverage diversity. FIRE like the sun is Bright! Our life goal is to be Firm, Clear, Calm, and Bright and reflect nature in all we say and do. 2014: Jon inherits Tanglewood with Beryl's passing at the age of 101 years. Treasures are discovered, buried in Dad's office. 1970 drawings: the house, mailbox...windvane even! After months of research. Decisions made: Reduce waste, re-use, recycle. Negotiations to re-use, recycle begin. We learn more about the land through geomancy. 2016: We read Jason's book, "Transformational Thought" given to us by our TetraMap associates. Inspired, we decided to apply TetraMap and restore Tanglewood via the "Living-Building Challenge" The adventure begins! Book: Transformational Thought by Jason McLennan, founder of the Living Building Challenge.